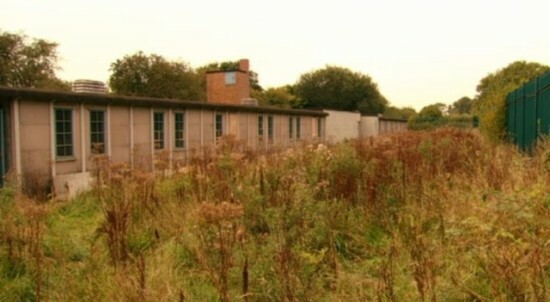 The iconic building of Hut 9 has always been an attraction for the curious given its remote position and its intriguing past, however, this has also led to its being vulnerable to vandalism. 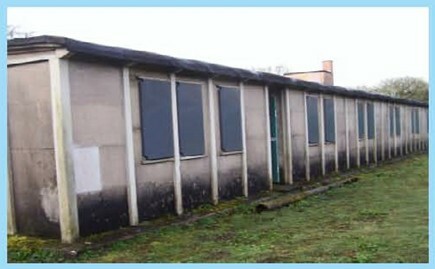 A spate of damage in 2004 left the building with most of the windows smashed. 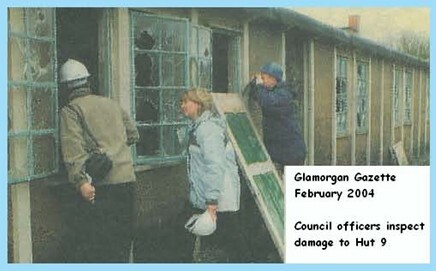 Rather than keep replacing the glass, the local authority (BCBC) decided to board the windows up. Little did they know, that there were others keeping an eye on Hut 9, because before long the building would be a 'des res' for a group of 'squatters' who found the new conditions irresistible. The bat visitors decided they liked the building so much that they moved in and have stayed ever since. Two species of bats, the Lesser Horseshoe, and the Brown Long-eared bat now roost every year at Hut 9. They arrive in April and use the building as 'sleeping accommodation' during the day, leaving every night to forage for food. They move out in the autumn for hibernation sites elsewhere. In 2010 it was discovered that several females had given birth to babies (pups), making the site a maternity roost. Sadly the UK bat population has declined dramatically during the past century. Many of the roosting sites and feeding grounds that they need have been destroyed to make way for buildings and roads, or other changes in land use. Pesticides have not only killed many of their insect prey, but also some of the bats themselves. Now all British bats and their roosts are protected by law. It is illegal to harm or disturb bats, or deliberately alter their roost sites without first seeking advice. Bats are mammals. Like all other mammals, they have hair or fur on their bodies and are warm-blooded. A baby bat feeds on its mother’s milk for at least a few weeks after it is born. Bats are the only mammals that can fly. A bat's wing has very similar bones to the hand and arm of a human, with skin stretched between the very long finger bones and the body to form the wing membrane. Bats are more closely related to humans than to mice. 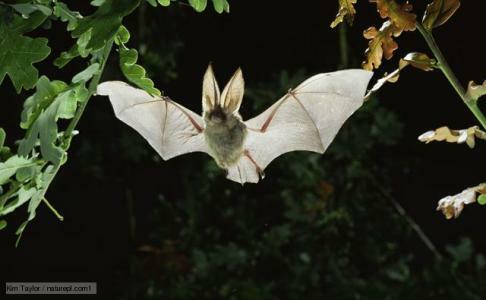 There are 18 species of bats living in the UK (17 of which ark now to breed here). Some of our bat species are very rare, like the greater mouse-eared, of which there is only one known male recorded. 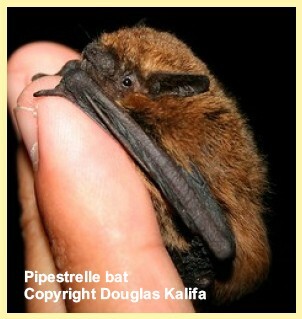 The UK's smallest bat is the pipistrelle, weighing between 4-7g, with a wing span of 18-25cm. The largest bat is the noctule which can weigh up to 40g with a wingspan of between 33-45cm. The pipestrelle is the most common bat in the UK, and is often seen with its fast jerky flight. It can eat up to 3,000 insects a night!